Working @ LeadNet Archives - Welcome Home! Horrible traffic. Long commute. Sacrificed social life. Expensive office clothes. – This has been the case for more than 10 years of my professional life. Obviously, it wasn’t ideal especially for a young woman like me who’s determined to make the most of what life has to offer her. And although I made a name for myself (and a good one too!) in my previous career, it felt like there’s something missing and no it wasn’t money or sense of fulfillment. It was time or the lack of it. Then I was introduced to the concept of working at home. Amazing idea. Most of my friends are reaping the advantages of this kind of work and I made sure I try it out. 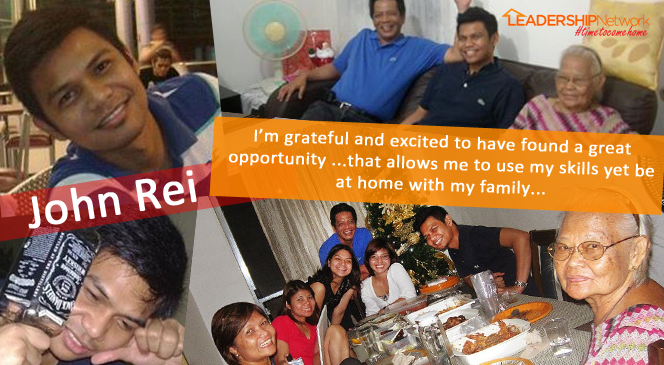 Imagine a life of less hassle for everything – traffic, commute, clothes and more importantly I have MORE time not only for my family but for myself. It is perfect. Fortunately for me, not only am I able to experience this brilliant work-at-home stint but I am also working with very professional and warm group of people who makes sure you are adequately supported in any way. I am a very proud freelancer for The Leadership Network. It was one of the best decisions I have ever made in my life. Currently I am working with a client based in New Zealand as his Virtual Assistant. Every day for the past year, I am always surprised at the array of new ideas and responsibilities that I get to work on because of my job. It is a continuous learning experience. I realized that the knowledge I acquired in my past career is just an inch of what I can learn more doing what I do and I love it. I am never bored plus I get to feed my mind with more information I need to become more efficient. But just like anyone who’s new to a profession, I am like a child who needs ample guidance and that’s what The Leadership Network gave me. 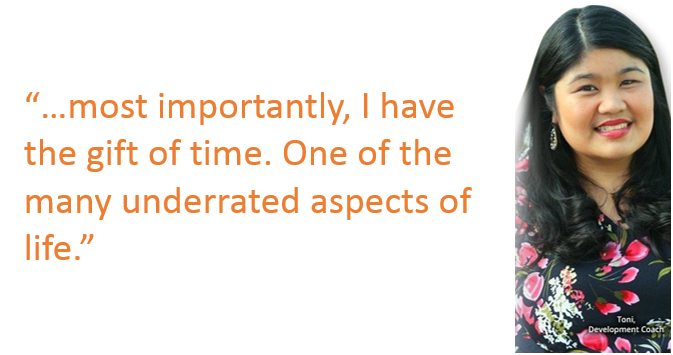 They still do – guidance to ensure that I am at my 100% best and is able to deliver my work smoothly. They have been an integral part of my learning experience as a freelancer for their team and I am very happy to be a part of it. They have and still is helping me through the ropes of this new world that I’m in and I must admit that I will not be half as effective as I am now if it wasn’t for their helping hands. So now, I am living my life the way I want it. I am working – enough to support myself and my family while I am also learning as I go along and plan a good future. I am able to travel and go anywhere I please because I can do my job remotely and most importantly, I have the gift of time. One of the many underrated aspects of life. For all these, many thanks to The Leadership Network team! 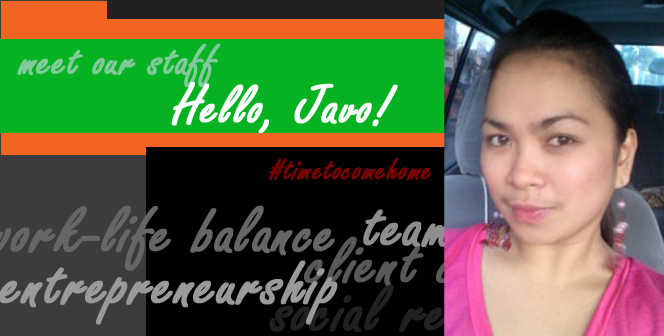 I still remember the days when first started working for BPO Company located at one of the premiere district in Makati. The pay and benefits was good way back then. I must admit that during the first few years of working with the said company I actually did enjoy it. The working environment – It’s pretty good, quite good. The place was so dynamic, changes will happen in an instant and you must keep up with the pace or get left behind. I do love the challenges and this is what fuels me to stay and preferred to build a solid career out of it. There are some circumstances we can’t avoid. Things way beyond our control like family matters which prompted me to decide and quit the job that I enjoyed. When everything settled down, it’s time for me to find a job and pursue my plans of building a career out of it. I weighed all possible options before deciding to step into the water. Should I choose a regular day job? Am I ready to face the horrendous traffic that plagues the city? What about the salary, the pay for day time jobs could be enough but it will just be half of what I would get from BPO companies not to mention the perks and benefits. As I look back, when I was still working for a BPO Company in Makati, I recall the few times when we experience super typhoons and brave through the waist deep floods to report to work. I usually bring provisions like extra clothes and shoes to survive those days. About clothes, my previous work requires business attire during weekdays. Since it’s been a while, I should prepare myself investing on clothes. Usual shifts will be at night, though traffic and heat is less but robbers abound during those wee hours. News from TV and newspaper will amplify your fear especially if you hear news about victims working in call center industry. Lately even taxis that used to offer convenience and protection from lawless elements from the streets are now being used by robbers posed as drivers. You might survive the perils from the streets, but can’t survive the stress of having a little time to spend with your family specially your kids. Those times when you come home, you are so drained that the energy left in you will be preparing yourself to hit the couch. When it’s time for you to leave they might asleep or preparing to go to bed. Then it came to me that there must be a better option to earn a decent living, enough to help my family without going through all those hassles like traffics, night shifts and other work related hazards. Years of training and experience that I gained from call center industry proved to be an asset moving from one company to another. But how about working from home utilizing same skill set? Yes just found out lately that there are markets and demands for professionals with experience from BPO. I did try some companies that offer home based jobs most of them are offering short term contracts. Until I found out about Leadership Network. 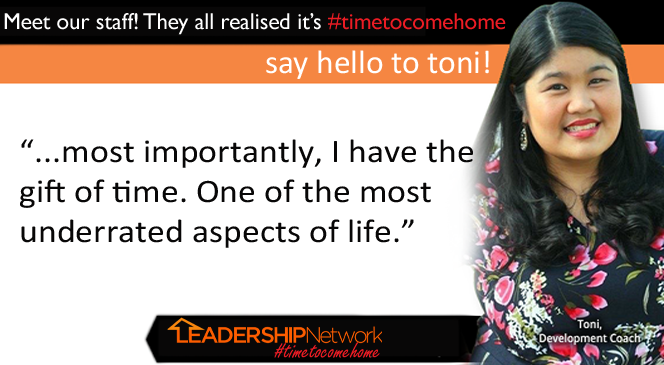 Leadership Network is a multi-disciplinary organization that continuously seeks talented and committed individuals to work from home or onsite. 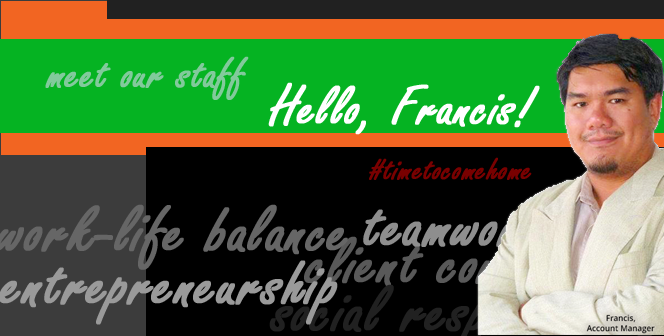 They have seasoned and well selected individuals coming from different industries from all around the Philippines. So, I tried my luck and applied to be a Virtual Assistant. It was not easy at first because of the different tool and platforms they use. I really have to learn a lot to be able to get client endorsement. 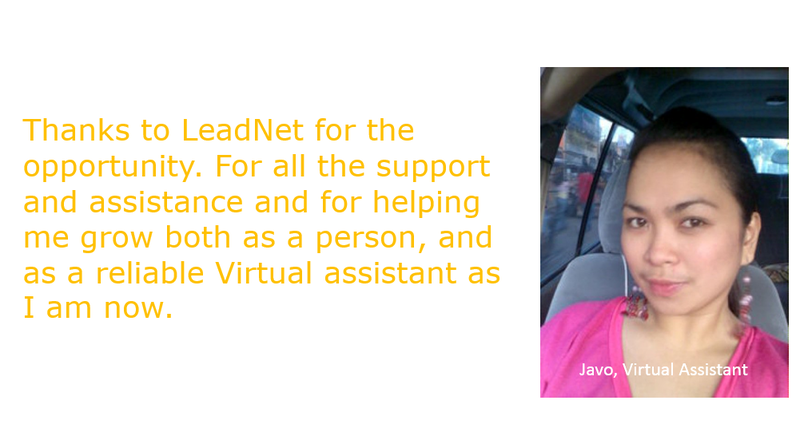 Leadnet was very supportive all the time and they helped me made my transition from a regular call center agent to an indispensable home based Virtual Assistant very easy. I was easily endorsed to a client and started the job. I was given different opportunities in the learning field. Part of my regular tasks would be Data Entry, Web Research, Transcriptions and Article Writing. There are everyday challenges of meeting deadlines and multitasking and continuous learning. But this job is so rewarding that I am looking for a long term job. Working as a homebased VA made me realize that I could still earn enough if not more to help me provide for my family. There is so much difference if I am to compare what it was like working in the BPO and as a homebased VA.
Now, I don’t need to battle my way to work. I don’t need to spend most of my time in the traffic to and from work. I don’t need to spend part of my salary for transportation and clothing expenditures. Rain or shine, I can still work without worrying of the weather. And most importantly, I get to spend a lot of time with my family especially with my kids and still have a job to rely on. Thanks to Leadnet for the opportunity. For all the support and assistance and for helping me grow both as a person, and as a reliable Virtual assistant as I am now. Is Canada headed to a freelancer driven economy? Or are we driving out productivity? Jackpot! I just found the most rewarding job I have ever had in 3 years of working from home. A month ago, I was surfing the web searching for work as my previous employer decided to call it quits. So like any Breadwinner in the family would do, I immediately started looking for a job or project to replace the one I just lost. I sent a few resumes out and applied to some of the available work I found on an online job recruitment site. I actually did get a few offers as well but most of them were short time projects or worse, full time work with pay that’s not even worth mentioning. I was really frustrated at some of the offers I was getting that I suddenly blamed the system. We are selling ourselves out too cheap and the system has found a way to sell us for even less and we (work from home workers) are left with no choice but to grab whatever’s out there just to ensure our livelihood. Then here comes an offer from LeadNet. I was invited to take some tests and so I did. From the first email, I had a feeling that this could be something. Most companies would just take whoever and dangle the small Job offer they have and grab whoever’s willing. This one had the decency to at least test me and find out if I had what it took to work for them. After the first round of testing, I was again invited to a second round. This really got me excited as I had a feeling of accomplishment making it to the 2nd round. I took the 2nd test with much gusto and thankfully I passed that as well. Then came my interview with the team as well as the Client. At this point I was sold out. I wanted this job really bad so I did my best to pass the Interview…which I did. When the job offer came, it didn’t take me more that 2 minutes to sign everything. The benefits, the base pay, the team, the employer, and the client. Everything was perfect. Do you work to live? Or live to work?